How do we transform this real world data to real world action? You know, one of the things I appreciate about being at Optum, is that our work doesn't have to end with the research, but that the research can truly be translated into meaningful programs and interventions to change health care delivery and improve patient outcomes. We're seeing our client base move from a very academic use of this data to a solution and actually tactical measurement of the solutions that they deploy in a very actionable way in the marketplace. It allows them to actually quantify the return on investment that they make when they are addressing a problem that they've identified in the data and then ultimately measuring the impact of their intervention. One of the unique things that we can do is actually work in the de-identified data to understand unmet needs and opportunities in the health care system. So, bringing that analysis and the benefit of those interventions to the individual and understanding how they really affect health care on a day-to-day basis. 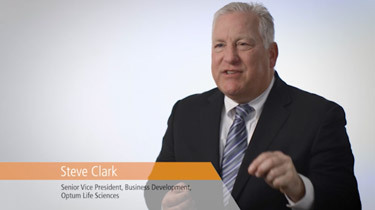 There are critical examples of how Optum Life Sciences data has changed what our clients are doing. Examples include really getting at in partnership with providers, why decisions are made, and changing patterns of care in diabetes and COPD. What's really exciting as a researcher is that the vision of Optum isn't just to do research for the sake of doing research, but to do research to really transform the way health care is delivered. 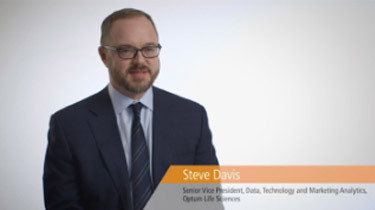 The folks in Optum Life Sciences are committed to driving this change; moving beyond simply data and analytics, but really driving meaningful change directly with physicians, patients, payors, and our Life Sciences collaborators. It's a win-win for the patient, the physician, the payor, and the brand.